Low Mileage, Navigation, Bluetooth, Heated Steering Wheel, Rear View Camera, Remote Start! 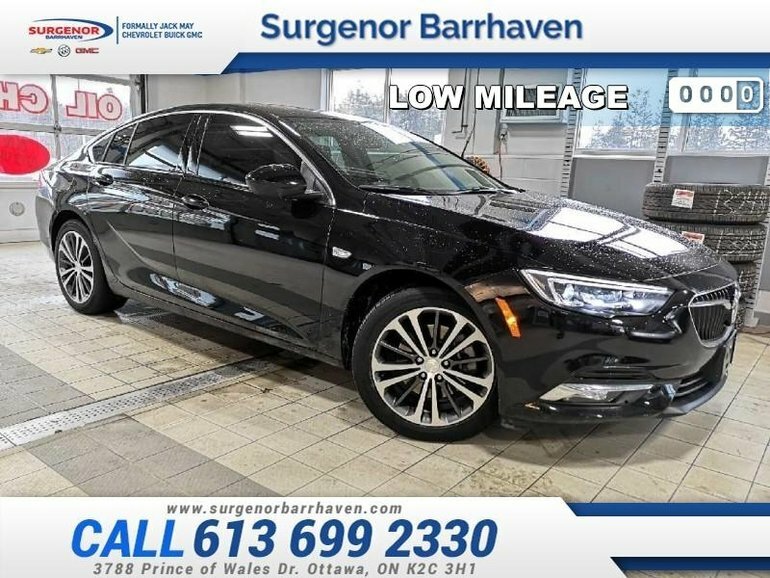 This Buick Regal Sportback is an all-new model for 2018 that adds a slight twist to the formula used for Regal sedans of the past with a sleek new style. 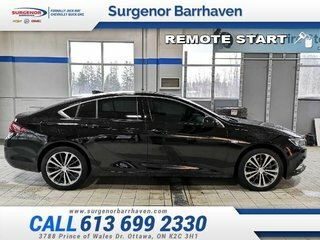 This 2018 Buick Regal Sportback is for sale today in Ottawa. 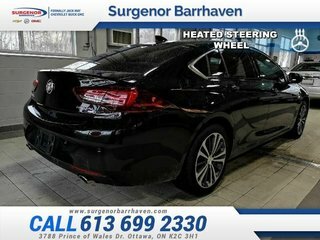 With its athletic elegance and new discretely integrated sportback opening, this all-new 2018 Buick Regal Sportback takes the driving experience for a whole new spin. On top of a refined new design and a comfortable interior, a new powertrain gives this sedan enthusiastic performance. This Regal is also a fantastic value. 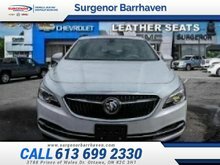 For a sporty sedan with a responsive and pleasant driving experience, this Buick Regal is a top choice. This low mileage sedan has just 5201 kms. It's black in colour. It has an automatic transmission and is powered by a 2.0L I4 16V GDI DOHC Turbo engine. 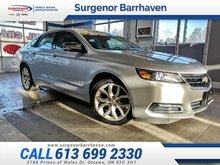 This vehicle has been upgraded with the following features: Navigation, Bluetooth, Heated Steering Wheel, Rear View Camera, Remote Start, Onstar, Aluminum Wheels. It has some remaining factory warranty for added peace of mind. Our Regal Sportback's trim level is Essence. Upgrade to the Essence trim to make this Regal even better. 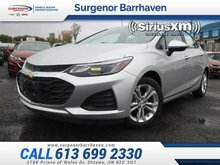 It comes with intelligent all-wheel drive, an 8-inch touchscreen radio with navigation, Bluetooth, SiriusXM, Android Auto, and Apple CarPlay, OnStar, a heated, leather-wrapped steering wheel, remote start, dual-zone automatic climate control with air conditioning, a rear vision camera, aluminum wheels, and more. Buy this vehicle now for the lowest bi-weekly payment of $219.60 with $0 down for 84 months @ 6.99% APR O.A.C. ( Plus applicable taxes - Plus applicable fees ). See dealer for details. 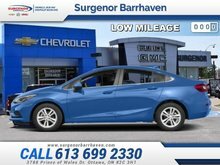 Interested in the 2018 Buick Regal Sportback Essence - Navigation - $219.60 B/W ?